What’s the best router in 2019? It is almost impossible to stay off the grid today considering that almost everything revolves around the internet. What’s more, 2019 demands more than just an access network; Wi-Fi should be fast and reliable. However, a top quality Wi-Fi internet connection demands a top-quality & best wireless router and Wi-Fi system.But finding the best wifi router that can give you the best value for your money can be quite tough. Some people say that separating the wheat from the chaff is not a walk in the park. Others say it is not easy to know what product is the best wireless router among the plethora of options. Of course, the more the options, the more the confusion. Sure, the numerous wireless routers on the market today will make it difficult to choose the best one. But it does not mean that it should take you forever to identify the best. 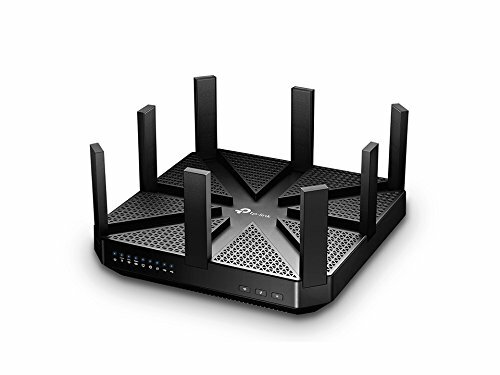 Fortunately, for you, here is a comprehensive review of the best wifi router for 2019. Recommendation by major technology companies from around the globe. The honest reviews of consumers who have bought and used the best high-end wireless routers. The preliminary functionalities and benefit attached to each of the routers that we recommend. Here is our list of the top 10 best wireless router of 2019. The ASUS RT-AC5300 is a tri-band router that maximizes your network and devices’ performance. The 5GHz band registers speeds of up to 2,167Mbps while the 2.4GHz band registers 1000Mbps for a total combined speed of 3,200Mbps. This makes it ideal wifi router for heavy tasks such as gaming and streaming; it supports crystal-clear and flawless 4K UHD videos. Speed is guaranteed with the ASUS RT-AC5300 in several respects. RT-AC5300 features the AiRadar beamforming technology for boost network strength and fine-tuning connections. Additionally, the wifi router features eight high-power antennas; a high number than most other routers feature. These antennas help to boost both speed and coverage. Also, they aid in focusing a strong connection to a particular direction. What’s more, it functions flawlessly even when multitasking thanks to its advanced data pipeline system. 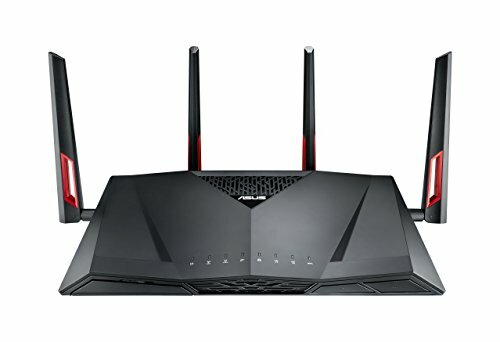 Gamers and movie junkies will also appreciate the power under ASUS RT-AC5300 tri-band wifi router’s hood. For starters, it has a powerful CPU that easily supports data-intensive tasks such as gaming. RT-AC5300 also features an adopted QoS for optimizing and prioritizing bandwidth. This allows users to dedicate more bandwidth to specific tasks without derailing the others. The ASUS RT-AC5300 is compatible with many devices and programs, and upgrades are always underway for even better user experience. It also supports security and privacy using programs such as its VPN app. To start with, setting up Linksys Velop mesh is simple as the configuration is automated and it takes minutes. Monitoring and controlling the network is also simple and can be done with ease. It comes with a smart Wi-Fi app that gives you access to the network from anywhere. Linksys Velop also enables you to take control features such as guests’ access, device prioritization, and parental controls. Connection speeds are also impressive for several reasons. It provides a high-power coverage and maintains speed reliability. What’s more, Linksys Velop boasts of top speeds of high speed, more than most other wifi routers can offer. Second, the 512MB RAM makes it faster to transfer data to and from other devices as well as over the internet. Finally, it covers a wider area than many other wireless routers. 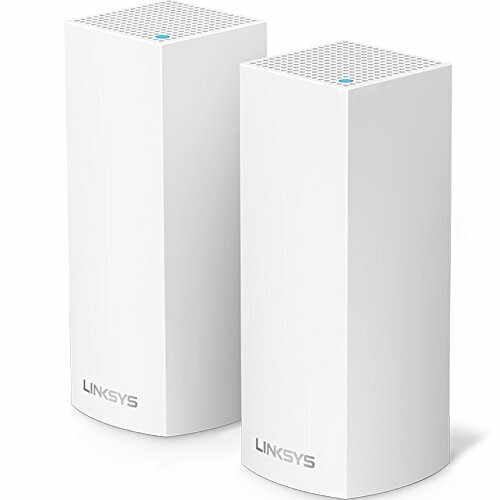 Ordinary tasks such as browsing and sharing documents are flawless with the Linksys Velop. Heavy tasks such as gaming and streaming are also seamless thanks to its high-speed CPU. Linksys Velop is fitted with a Cortex A7 quad-core ARM processor that easily supports games and movies. Coupled with the 512MB RAM, this CPU also eliminates any sort of glitches supporting multiple tasks. What’s more, you can work with different devices including phones and printers thanks to the ports fitted along the router’s sides. The ASUS RT-AC88U features advanced antennas that do more than just boost coverage. Each of the antennas is dedicated to each of the router’s four spatial data streams, making it easier to also fine-tune the data connections. What’s more, ASUS RT-AC88U features dual-band for supporting both light and heavy data-intensive tasks. The 5GHz has a maximum speed of 1,300Mbps while the 2.4GHz registers a sufficient 600Mbps. The real power, however, rests with the powerful CPU and processors. The ASUS RT-AC88U has double dual-core 1.4GHz processors that boost USB transfer speeds by over two times. They also make the router ideal for business use especially when there are heavy tasks involved as it can multi-task twice as well as ordinary routers with a single processor. It also impresses for entertainment tasks such as streaming videos and gaming online. ASUS RT-AC88U router’s outer hardware is also as compact as its powerful chips under the hood as the body is strong and sleek. The ASUS RT-AC88U is compatible with a wide range of devices thanks to the multiple ports located on its sides. Its CPU and powerful processors make it easy to multi-task both online and directly with other devices. The technical specifications of the Google Wi-Fi system include an expandable mesh, 2 Gigabit Ethernet ports both WAN and LAN and a simultaneous dual-band router. A lighting system showing red in case of an issue, blue when on standby and white when connected. Google WiFi works together with a companion app, which is quite user-friendly. The app can be used to prioritize devices, enable to share passwords with guests and potential users and one is able to view who is connected. The ultimate best use of the app is to help you halt the Wi-Fi on kids’ devices to control their usage. The requirements that one should meet in order to set up the wireless router after purchase are definitely a Google account. The Google account facilitates communication, as Google is the manufacturer of the product. An android or iOS device is also necessary to connect to the system. The third requirement is the companion Wi-Fi app to carry out the functions earlier described and finally broadband internet connection from a preferred internet service provider. 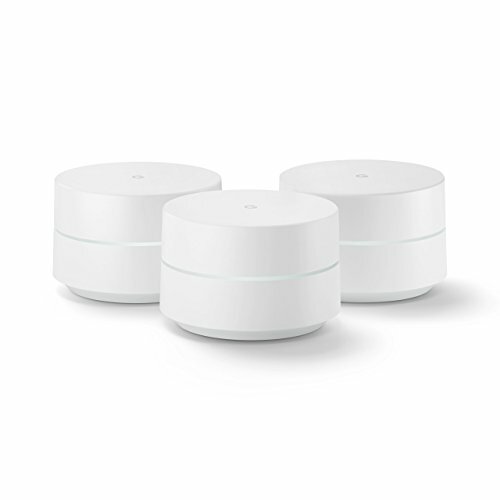 The advantage of the 3 set Google Wi-Fi is that it covers all corners of the house and one is able to set up a guest network that is separate from the main network. NETGEAR Nighthawk X10 is perfect for gamers and movie lovers. For starters, it features an advanced upstream QoS designed specifically for gaming consoles such as Xbox. This feature allows users to prioritize bandwidth to gaming, thus avoiding other activities from spoiling the action. The QoS also works perfectly for video streaming services such as YouTube and Netflix for uninterrupted watching. NETGEAR X10 also prioritizes its users’ security and privacy, unlike most other home wireless routers. Cloud storage and transfer are secured by NETGEAR’s ReadyCLOUD. NETGEAR X10 works simply by connecting your USB drive and waiting for a secure connection. Your photos and other data are also backed up automatically in case you forget to do so yourself. Users’ anonymity is also protected through the company’s OpenVPN program, which hides your IP address and makes it easier to access strict-access websites. NETGEAR X10 shines brightest when it comes to speed and range. It boasts of speeds of up to 1,900Mbps, and it is even faster considering the QoS addition. It also carries next-generation gigabyte Wi-Fi for unhindered data transfers. What’s more, this wireless router works flawlessly in very large homes thanks to its three advanced antennas. Help is always available should you ever run into any problems with the router. The Nighthawk X10 comes with a genie app that monitors, controls, and repairs the network routinely. Support staff agents are also always available for consultations. TP-Link Talon AD7200 comes with the advanced multi-band technology that maximizes speed by a greater value. Its advanced antennas also increase both strength and coverage and help fine-tune connections for multiple users. Combined, these factors give the TP-Link Talon AD7200 maximum speeds of up to 4,600Mbps. The TP-Link Talon AD7200 tri-band wireless router is designed for all-around use as it can support virtually any task. Talon AD7200 bands work simultaneously and fire up depending on the task. The bands are further complemented by a powerful CPU and sizeable RAM that support multi-tasking both online and with other devices such as phones and printers. TP-Link Talon AD7200 also packs a sleek look and design that hints at its power. Setting it up is quick and simple; in fact, it is an automated process that requires only a few clicks. Complications are not common, but it may register slower speeds as you move further away from the scope of coverage. 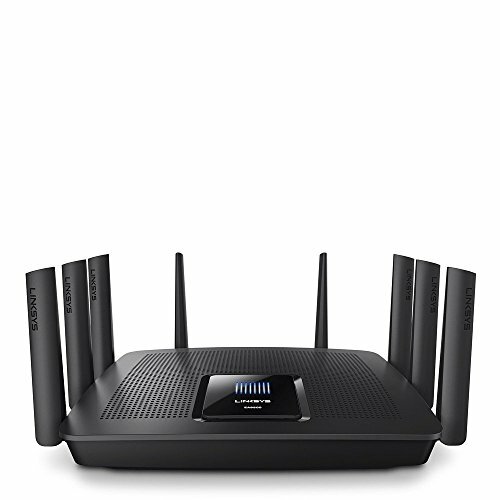 Linksys AC5400 has a beamforming technology that focuses Wi-Fi signals to connected devices improving the signal range. The technology facilitates surfing, streaming, and gaming by multiple users without affecting speeds. Other great specifications of the AC5400 are 5.3 Gbps Wi-Fi speeds a combination of three dedicated Wi-Fi bands, 8 Gigabit Ethernet ports that allow file transfer stability and 8 external antennas for expanding the network range. Like the Google Wi-Fi system, this wireless router uses an app that makes it easy to manage and customize your home Wi-Fi. The app enables you to send the password to new users, set parental controls and prioritize devices. When using the Linksys AC5400, performance is dependent on the interference, the products used alongside the router and adverse conditions that interrupt the wifi router. To achieve a faster physical data rate a minimum of four client devices should be connected to the router. The advantages of using the Linksys AC5400 include the high speeds and Wi-Fi range enabled by the eight Gigabit LAN ports with seamless roaming. The downside is that it is a bit expensive and very bulky compared to other wireless routers available. Some of the users have also reported irregular disconnects across connected devices in the two channels. 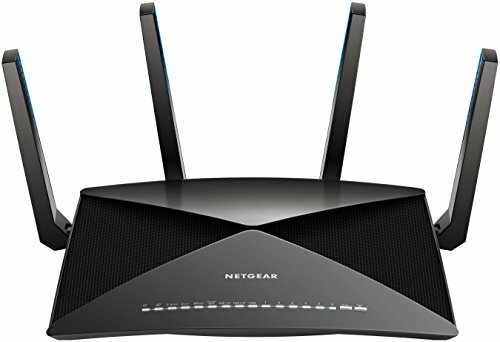 The NETGEAR Nighthawk X8 has features that support home internet use. Its quad-core processor gives it the power of four ordinary wireless routers and easily supports gaming and streaming. The router’s signals and antennas support speeds of up to 7.2Gbps, and its wide range means there is no buffering, no interruptions, and no dead zones. The Nighthawk X8 is capable of supporting multiple devices without showing significant strain on its performance. The wireless router’s ports, in particular, facilitate compatibility with diverse devices and even Ethernet connections. NETGEAR Nighthawk X8 has several ports for different devices. It also features cloud storage and transfers capabilities, which are secured and backups automated. Its quad-core processor easily supports multitasking. 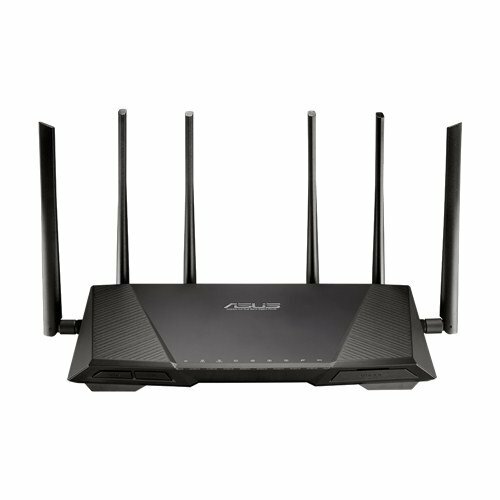 The ASUS RT-AC3200 is a tri-band wireless router that maximizes your network and devices’ performance. The 5GHz band registers speeds of up to 2,600Mbps while the 2.4GHz band registers 600Mbps for a total combined speed of 3,200Mbps. This makes it ideal for heavy tasks such as gaming and streaming; it supports crystal-clear and flawless 4K UHD videos. Speed is guaranteed with the ASUS RT-AC3200 in several respects. The router features the AiRadar beamforming technology for boost network strength and fine-tuning connections. Additionally, the wifi router features six high-power antennas; three more antennas than most other routers feature. These antennas help to boost both speed and coverage. Also, they aid in focusing a strong connection to a particular direction. What’s more, it functions flawlessly even when multi-tasking thanks to its advanced data pipeline system; it can support an incredible 300,000 data sessions. Gamers and movie junkies will also appreciate the power under this router’s hood. For starters, ASUS RT-AC3200 has a powerful CPU that easily supports data-intensive tasks such as gaming. It also features an adopted QoS for optimizing and prioritizing bandwidth. This allows users to dedicate more bandwidth to specific tasks without derailing the others. The ASUS RT-AC3200 is compatible with many devices and programs, and upgrades are always underway for even better user experience. It also supports security and privacy using programs such as its VPN app. With XStream architecture, each processor is dedicated to the three Wi-Fi bands creating room for the CPU to perform other functions. The feature allows multiple users to each use the Wi-Fi connection for different uses for example gaming, watching movies, and streaming music without interrupting one another. The Smart Connect places all connected devices on the best available Wi-Fi bands to ensure great connections. The MIMO on the other hand, makes the wireless router communicate with connected devices at once in the minimal waiting time possible. TP-Link AC5400 Quality of service feature is available to enable one-assign bandwidths to the most used devices to keep them at maximum performance. The devices that are usually assigned are the high-density traffic devices. The Bandwidth priority list of the quality of services ranges from high, medium, and low priority. 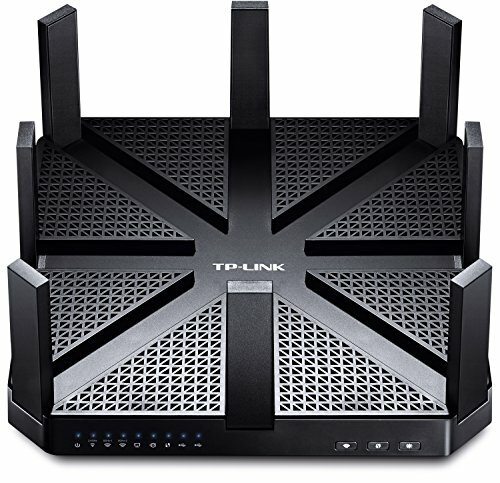 In addition to the QoS, the wireless router uses the app available for TP-Link AC5400. The mobile app is available for iPhone Operating System as well as Android devices. The mobile interface allows one to access the Wi-Fi settings such as sharing passwords, device scheduling, and management. Finally, the media sharing and VPN feature that makes it easy to share videos, photos, and music on the home network. The VPN allows secure access to devices away from home. The only change that could be made to this wireless router to improve performance is more wired ports. 11 What is the best wireless router to buy? It is almost impossible to stay off the grid today considering that almost everything revolves around the internet. What’s more, 2019 demands more than just an access network; Wi-Fi should be fast and reliable. However, a top quality WiFi internet connection demands a top-quality wireless router and Wi-Fi system. But finding the best wireless routers that can give you the best value for your money can be quite tough. Some people say that separating the wheat from the chaff is not a walk in the park. Others say it is not easy to know what product is best for the plethora of options. Of course, the more the options, the more the confusion. Sure, the numerous wireless routers on the market today will make it difficult to choose the best one. But it does not mean that it should take you forever to identify the best. Let’s be honest; buying a wifi router seems like a straightforward affair at plain sight. In essence, however, it is a bit more complicated than simply walking into a tech store or an online retail hub and picking up the first product with the word ‘router’ beside it. This brief review will transform you into a smart consumer. The advice and info shared here are more than enough to enable you to make the best decisions. How many years does a router last? Ideally, we all want a wifi router that lasts for years without the slightest malfunction, but that is impossible. All machines undergo wear and tear, and they eventually have to be phased out and replaced with new ones. Wireless routers accord our conveniences. Multi-users can use routers without the unsightly wires running all over the premises. There are three broad types of wireless routers. They are the single or the dual band models and the tri-band models. The single band models are on the 2.5GHz frequency. The single band models are cheaper than their counterparts are. The latter and the tri-band models are better when the network traffic is heavy. Alternatively, experts categorize routers using the 802.11n, 802.11g, and the 802.11ac wireless standards conventions. The wireless routers often come with around four to five Ethernet ports. These ports ensure the connection of the router to several devices simultaneously. The leading wifi routers come with removable aerials or antennas. They have a USB port for connecting to devices like printers. Nowadays, wireless routers come with an inbuilt parental lock feature. This helps the parents to keep close tabs on the sites their kids are visiting. Select the models, which have a Quality of Service (QoS) function. That feature allows the user to give a particular task a higher priority. For instance, you might want to prioritize calls over game users. Today’s wireless routers come with a barrage of inbuilt safety measures. This serves to deter third parties from accessing them remotely. The most common security is the Wi-Fi Protected Access (WPA/2). Go for the modern devices, which come with an extra layer of security known as the Remote Authentication Dial-In Use Service (RADIUS). The prices get determined by the number of inbuilt features found in the device. The cheapest models for wifi router go for less than $50 while some advanced models cost up to $300. 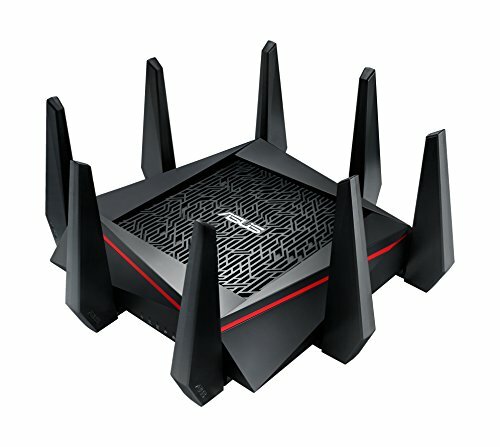 How many devices can be on a wifi router? What’s the point of having the latest laptops and Smartphones if you still insist on using the single band wireless routers from the nineties? These routers are virtually obsolete as they were made to work with devices from a gone era. It’s prudent to keep upgrading the wifi routers regularly. The latest models on the market come with an impressive array of new features that will completely redefine your browsing experience, for the better. It is all about how to get an affordable device, which has an extended Wi-Fi range, a more robust handling, and clearer signals. If you are always experiencing slow internet that is an obvious red flag warning that you need a new router. When the pages start taking forever to load and the videos won’t even load without buffering for minutes, then it’s the right time to consider an overhaul of these gadgets. With time, the members of a particular household keep on getting new devices. They connect the Smartphones and the computers to the old wireless router, and it gets overwhelmed. It then starts malfunctioning. A smart decision would be just to close your eyes, order a modestly priced wifi router, and get back to enjoying high internet speeds always. Routers come in the 802.11ac, 802.11n, and the 802,11g criteria. This is not just numbers; rather they are indicators of the wireless capabilities of the devices. The best choice for homes with intensive data consumption is the 802.11ac. The latter is compatible with all devices built after 2013. The best wireless routers models to use are the ones who support both the 2.4 GHz and the 5GHz spectrum. The dual and the tri-band wifi router devices offer better coverage as their signals can be split to serve multiple users. It’s smart to ask about the number of bands a particular model supports. Other prominent features to look for in a router include the QoS and the child-lock. The QoS allows you to allocate certain tasks a higher priority at given times. The child lock ensures parents get to monitor the digital prints of their kids online. A good router’s hardware and firmware ought to be regularly updated by the manufacturer. Routers have become part of our everyday lives. The vast plethora of gadgets and devices available in the market today all come with a ton of impressive inbuilt features. These features facilitate the eased synchronization with other remote devices. There’s one slight problem, though: Purchasing a router isn’t as straightforward as it once used to be. The sudden explosion of consumerism has witnessed the release of countless numbers of new models. Each model coming out with its unique features and specifications. Here are some of the prominent features you ought to insist on when getting that new wireless router. What is the difference between dual-band and tri-band routers? The performance of a wifi router gets determined by the standards its hardware operates on. For instance, there are the 802.11n, 802.11ac, and the 802.11g. For clear signals always opt for the new and the expensive 802.11ac models. Use this brand and clock speeds of up to 866.7 Mbit/s. Together with the 802.11n model, they operate at both the 5GHz and the 2GHz frequencies. The best options are either the dual-band or the tri-band wireless routers. The latest wifi routers on the market have a brilliant inbuilt feature known as the smart processes. How does it work? Well, if you’ve ever owned routers you are aware that there are areas in the house where the network is non-existent. These dead zones are caused by physical barriers among other factors. To deal with them, the designers of the latest routers have an inbuilt mechanism, which facilitates the illumination of those dead zones using Wi-Fi signals. A good wireless router ought to have a Quality of Service option. This feature is ideal when you use a shared broadband Internet to various users. Thanks to the service, users can split the bandwidth to allocate it to high priority concerns. For instance, if your spouse is binge-watching Netflix movies and you want to take a major conference call from your boss, then you give the call a higher priority. Ideally, the more USB ports a device has the more functions it performs. Get an expert to enlighten you whether the ports are the new generation variety. A wifi router with an Ethernet Port is great as it permits the use of printers. The different routers out there all come with their unique features. You will realize that the high-end devices often come with more inbuilt features. For instance, some of the $300 priced devices have a feature you can use to encrypt the information being relayed. That makes it impossible for hackers to infiltrate your systems. Which Wireless Router Is Right for You? Wireless routers are must-have gadgets, be it at home or in an office. Wi-Fi connectivity often goes hand in hand with increased productivity. Using wifi routers to keep in constant touch with family and loved ones all over the world has become the norm rather than the exception, today. That all seems nice and delightful but there is one slight issue that you have to address. Do this first before purchasing a particular router: Which best wifi routers is right for you? Understanding the key features found in the latest devices goes a long way towards ensuring you pick a durable, efficient and a reasonably priced product. It’s best to start your pursuit for a remarkable wireless router online. Visit the top-ranked tech products review sites like pcmag.com and find out what their experts have to say about the leading models flooding the marketplace. Consult with friends and acquaintances. Approach the folks you deem to be tech-savvy. Also, you can approach people who are already using wireless routers in their houses or offices. Be smart when picking out a router. Don’t go for the lower priced older versions. Instead, it’s better to pay a little extra and get the latest hardware in the market. With time, devices change. Just as it was with the now out-dated headphone jack in the iPhones; you don’t need to buy something today only to replace it in a couple of months. Another equally as important consideration when picking out the best wireless router for buy are the intended usage. Different wifi routers come with different capabilities. Some are designed to handle a large number of devices simultaneously while the rest are only able to work efficiently with a couple of devices, like two or three, on at the same time. Read the manual and the user instructions carefully to ascertain the specifications from the manufacturer. What is the best wireless router for multiple devices? If you are a single user, then there’s no need whatsoever to go for the tri-band wireless routers. You would be better off operating on the dual-band options. The single band products operating on the 2.4GHz frequency are well on course to being wiped out from the market altogether. The dual and the tri-band series of wifi routers are preferred because they can support a handful of devices concurrently without losing their efficiency. The multiple radio channels enabled to make it possible for users to handle large data exchanges over numerous devices without compromising on the quality of the received signals. Shopping for the wireless router can at times get complicated and frustrating. For starters, there’s the issue of all those tech jargons on the products. Inexperienced shoppers risk getting duped into purchasing obsolete products by unscrupulous dealers. It is in your best interests as a consumer to enlighten yourself on the basic features found in standard best wireless routers. That way you won’t get extorted into purchasing a router which was last updated in the mid-2000’s. Without any further ado, here are the most important specs and features you ought to insist on in your products. The performance of a router gets predetermined by the hardware configuration it comes with. The fastest products have an 802.11ac capability. Such wifi routers are remarkably powerful. Their signal strength is greatly amplified to enhance the end-users experience. 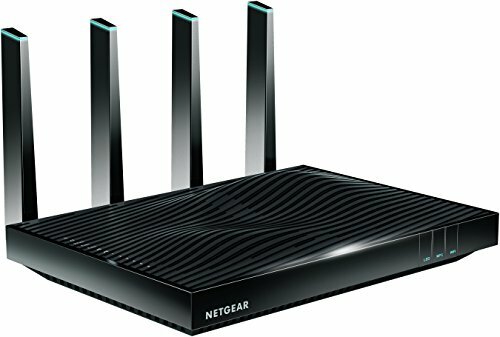 What router has the best range? The best wifi routers on the market operate on both the 2.4 GHz and the 5 GHz frequencies. The extra bandwidth allocation on the 5GHz line facilitates the smooth flow of data. The single band products often get overwhelmed by vast amounts of data, and they cease to function as expected. On the other hand, if you get a dual or a tri-band product, extra traffic gets redirected to the rarely used 5GHz network, and you continue browsing and watching movies seamlessly. A good wireless router offers you a wide berth of options to play with. You want a device, which has several USB ports. If possible, go for the new-age wifi routers that come with an inbuilt print server. LAN ports and Ethernet ports must also be present. Regardless of the Internet package, you order from your ISP; there will always be a need to prioritize. Fortunately, the latest routers come with an already built-in Media Prioritization or Traffic Control feature. Always go for the devices with the Quality of Service feature to gain complete control of your Internet usage. There is always a real risk of being attacked via your routers. The wireless devices are at a higher risk than their counterparts are. Stick to using the WPA or the WPA 2 protocol enabled commodities to reduce the risks of being hacked. Consumers are encouraged to switch from using the Internet Protocol version 4 devices and instead opt for the 128 but protected systems known as the IPV6. Before you take out your wallet and order a particular model, it’s a prudent idea to compare and contrast the rates from several retailers. There’s an excellent chance that you find a cheaper deal elsewhere. Eventually, the wireless router you buy will depend on model and preference. As a side note, though, you should choose the best wifi router that will forward data packets between networks efficiently – without a technical glitch. In conclusion, whether you intend to buy a best wireless router for the office or something ideal for your home, this guide is pretty much packed with valuable information that will help you make the right purchase decision.